As many of you know, just a few days ago I posted a story that confirmed that the specs of the Wii U dev kit that was leaked earlier last month were true. What maybe was not made clear enough in that post was that those specs were from a dev kit from late last year and some of the things were to change. It is nice though that we can at least confirm what developers were using at the time. 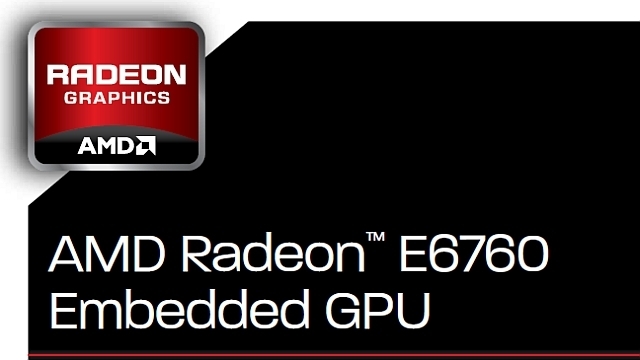 Back in May of this year it was announced in a different press release from ALT Software that the first Embedded GPU from AMD to use Green Hills Software will be the AMD Radeon E6760. The E6760 scores a 5870 in 3D Mark Vantage which is higher than the HD 4850 despite the card only running at 35 watts! Now of course the final Wii U GPU will still be custom made with other features made specifically for the system, but it would make a lot of sense if the GPU ends up being heavily based on the E6760 especially with the power consumption being so low. So is all of this just a strange coincidence or do we finally have a good idea of what GPU will be powering the Wii U? I have taken out the part stating that Nintendo announced a 40nm GPU, they actually did not officially announce what the final size of the GPU would be but did announce that the CPU would be 45nm in size. I apologize for any misleading caused by that. If Nintendo decides to go smaller they could get more performance going to a 32nm or even a 28nm. Cost would be the deciding factor of course. The AMD Radeon E6760 does pretty much fit the criteria that the Wii U would need to run at low power consumption and have great graphical effects & performance. Since it was stated at the outset that this is a speculation article, I'm still going with the Wii U's GPU being based on the architecture of the E6760. There are way to many connections and coincidences with Nintendo, Green Hills and AMD for there not to be something related to how the final GPU will function in the Wii U. Either it's something else or a much faster version of this kind. The E6760 is closer to 600 GFLOPs and it actually scores better than a HD 4850 in 3DMark Advantage and that card is 1 TFLOP. Nintendo is looking for performance with the least amount of power consumption. 35 watts would definitely get the job done. GFLOPS LOL LTFOL this aint neogaf my buddy old pal, we actually have brains here!!!!!!! 4850 is near 800Gflops yet it scores lower than the E6760 IN BENCHMARKS !!!!!!!!! SO IV JUST PROVEN ""WHAT"" il explain your brain probably turned to mush by now, its a lower GFLOPS GPU but it performs higher DOES THAT COMPUTE !!!!! The power of a GPU in the form of GFLOPS, is usually calculated, making it a more theoretical nature. Fact is that it can be improved by better implementation of instruction sets the efficiency markedly, without changing the actual raw performance. As an example we can mention here the implementation of DX11 that gives same results as DX10, only faster. Therefore, a modern E6760 is preferable to an old 4850 design. Whether E6760 or 4850, the performance is more than adequate. Much more interested in me, how is the compatibility to the classic Wii retained. Does the GPU additionally TEV stages, or a seperate chip soldered to the first PS3? It could also be a 67XXM gpu since its excentialy the same exact chip (memory an clocks speeds aside). Wow, that would be great! I am sure they are holding back tech specs/info and other news because of competition. And you make a strong case for the E6760. I hope it is!! I could see Nintendo with plans to fully reveal capabilities later and little by little because of the headstart. I don't want to rain on any parade but a 4850 scores around 7000 points in Vantage P score for the GPU, so what is there to be actually exited about if true? I worked for AMD up until two months ago. 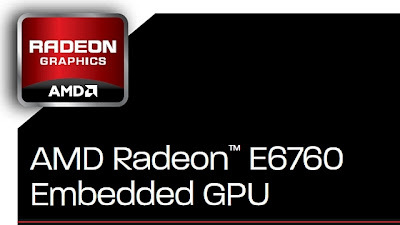 The Wii U GPU is based off the AMD E6760 GPU without the onboard memory supplied. At the time I left, I was aware that it will draw from a shared RAM pool of 1.5GB from the Wii U (DDR3-1800) and run at a clock speed of 824 mhz. The main CPU is a IBM power architecture quad core (with one disabled for yield, making it a tri-core) running at 3.0 ghz. The size of the eDRAM was not finalized before I left, nor was the clock speed of the main CPU. I got to work with two different engineering units, one had 3GB ram with the CPU clocked at 3.4 ghz and the other had 1.5GB ram with the CPU clocked at 3.0 ghz. I was told the 3.0 ghz unit was closest to production specs. If what you say is true, isn't the GPU still based on the architecture of the R700 chips? Nintendo started development in 2009 before the E6760 even existed. Obviously the GPU can't be the E6760 just with different memory since the GPU will be heavily customized. My speculation is leading me to believe that Wii U's GPU will share a lot of similarities to the E6760 but it won't use it as a base. If you'd care to be more specific I'd appreciate it (if you're telling the truth of course). the guy who send the email first is a spanish guy called "xbicio" from spanish forum. People are missing the point here, now that a true eight generation console has come out, video game devs will have a lot more overhead for super high end game engines which were typically reserved for PCs. Since 2008, the PC gaming industry has really stalled when it comes to PC game and game optimization, MSAA performance is horrible, while GPUs are a lot more powerful now than they are then, devs still tend to port from console first before PC and this will heavily benefit us PC gamers as this will be the first console to make use of a more recent, advanced platform. Before now, most game developers had to make do with an X1850 and 7800GT-era GPU and add whatever was left as extra for PC gamers. Now they will have much more to work with. A 4850 is more than enough of a performance jump from the X1850 and 7800GT. Think about it this way, think about what you were seeing on the PS3 and Xbox 360 now and how they make do with it with that obsolete GPU, try running the same game on a PC with the same GPU it won't run as good, not even close(GTA IV for example). Truth is, GPUs back then, even the 8800GTX was more than enough to run games that we have now, but poor optimization has led us to believe the contrary. I'm not saying the graphics cards we have now are not powerful, I'm saying there's a lot of wasted potential for even graphics cards as old as the 4870, which frankly, isn't even that old. If you think about it now, the 4870 is still around, they have a graphics card similar in performance, the HD 6770. It still provides ample performance to be marketed as a gaming card. Scaling is way different on console in terms of performance vs PC since nowadays its console optimization first then PC ports. So hopefully we benefit from this more now as we devs can get their hands on PC-like graphics to a consumer gaming console. A 4850 is more than enough of a performance jump from the X1850/7800GT-era GPUs game developers were having to make do with. I'm happy enough as it is as it will also give devs a much greater overhead to work with, possibly make better PC ports when they're done with the Wii U versions of the game. Before Wii U, most devs had to make do with the X1850 and 7800GT and just add on to that for what they wanted to give as "extra" for PC users, yes naturally it will look sharper, naturally it will look better, but there's nothing spectacular about it when it comes to the core engine, and with most games built ground-up with the console in mind this will undoubtably help devs make better PC ports.